Majorca and Ibiza are so passé. All the beautiful people are heading to the smallest of Spain’s Balearic islands, Formentera, to enjoy its relaxed vibe, Caribbean-esque beaches and sumptuous cuisine. We all dream of holidaying like celebrities: vacations on Necker Island with Branson, Barack and Beyoncé or lounging around on super yachts in the St Tropez sunshine with Leonardo DiCaprio and…whichever supermodel he’s dating at the time. While these kinds of holidays are often out of the average person’s price range, we have it on good authority (Instagram) that the next big celebrity hangout is decidedly more accessible: Formentera in Spain. The island is known for its white sand beaches, which are often compared to those found in the Caribbean. 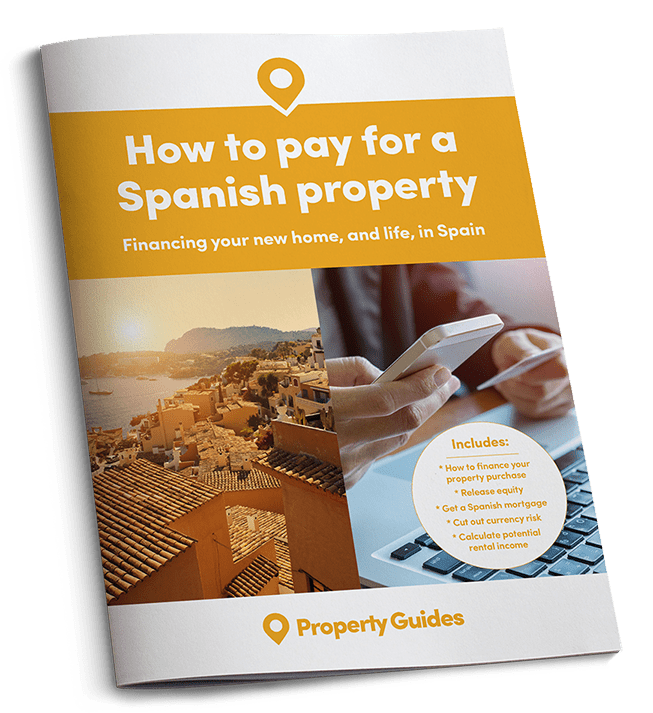 Last week some of the world’s biggest celebrities were snapped holidaying on the island – the smallest of Spain’s Balearic islands, which those of us who can’t afford a yacht or speedboat can reach via ferry from the island’s more famous neighbour, Ibiza. In a snap that appeared on Jade Jagger’s Instagram we saw Bruce Springsteen and family posing alongside fashion designer, Calvin Klein, model Poppy Delevingne and rock star Noel Gallagher. So many people known for their excellent taste in one place can only mean one thing – Formentera has been crowned Spain’s most stylist destination! 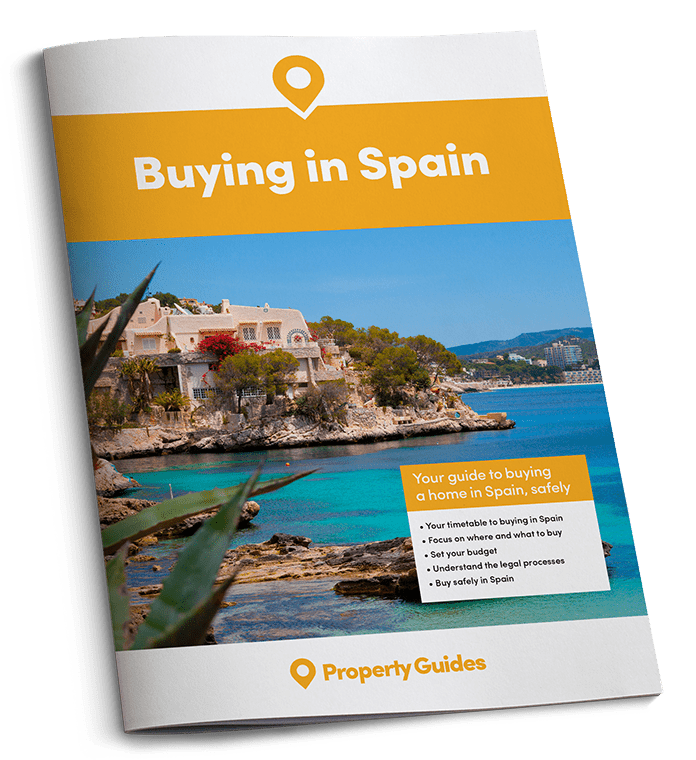 So what does the island have to offer holidaymakers and those looking to buy in Spain? Once a popular hangout for hippies looking for some peace and quiet after a stint in Ibiza, the island is known for its white sand beaches, which are often compared to those found in the Caribbean. Playa de Illetas in the north of the island is repeatedly listed as one of the best beaches in the world. 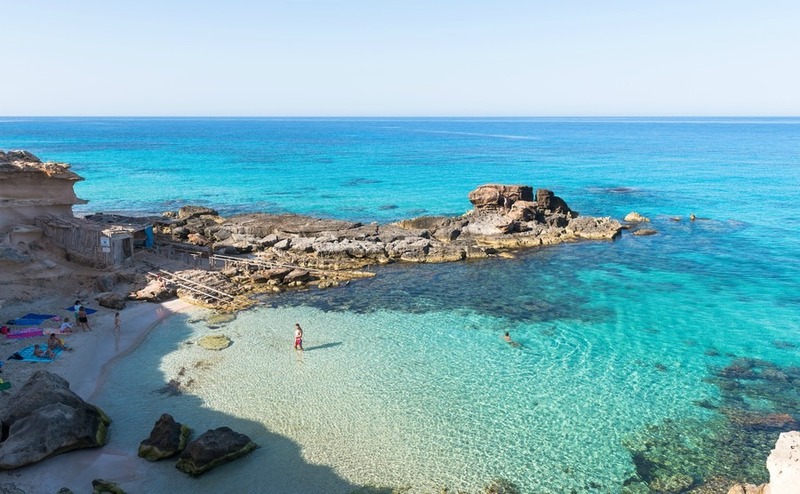 Shallow, calm, warm waters make Formentera’s beaches ideal for families. Being west-facing, Playa de Illetas is also an excellent spot for taking in one of those famous Balearic sunsets. The small island is perfect for a spot of exploration on foot or by bicycle without too much effort. The small island is perfect for a spot of exploration on foot or by bicycle without too much effort, and when you feel the need for sustenance, you can eat in one of the many beach restaurants that were once little more than beach shacks serving up fresh seafood. A word of warning: be sure to check the prices before you sit down – the owners have caught on to the kinds of clientele they’re attracting nowadays! And with the likes of Kate Moss and Cristiano Ronaldo floating around on their boats just off shore we can’t say we blame them!